Celebrate good times, c'mon! This magnificent gift set features a triple folding frame with a clock and two photo frames, presented in a fully lined gift box. 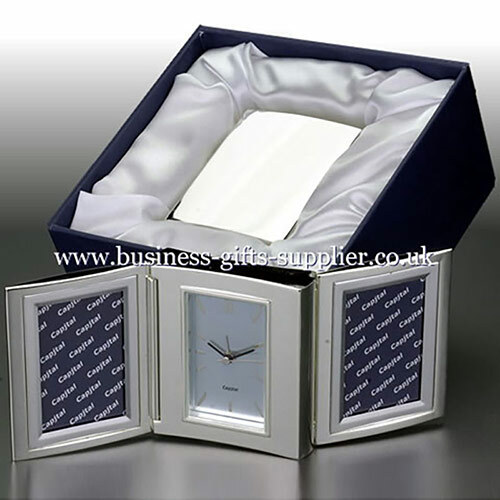 The clock and photo frames feature a fine quality silver plated finish and are suitable both for permanent display on a mantel, shelf or desktop, or as a travel accessory to bring to remind you of your loved ones or a special occasion while staying away from home.